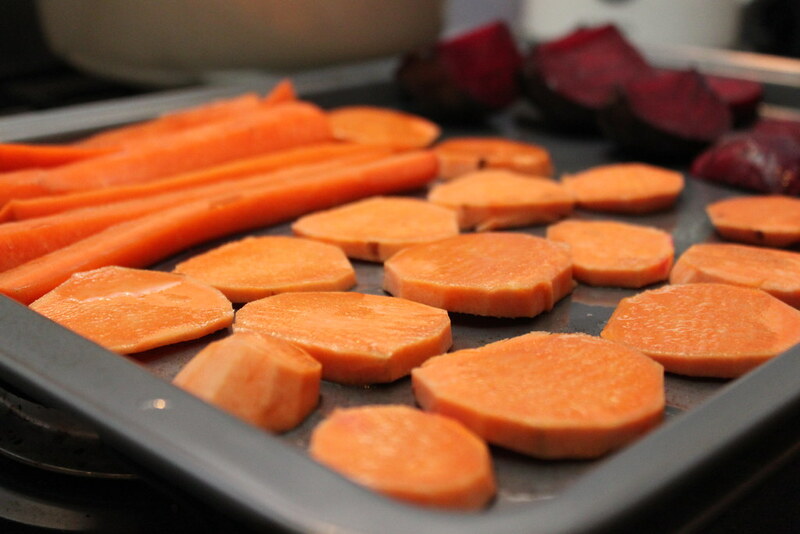 On a Sunday I like to roast some vegetables for dinner, I always roast too many so they can be used in other recipes during the week. Especially for week nights where if I did start to roast a vegetable, dinner would be after 8 o’clock. Having a tupperware box full of roasted vegetables that just need 5 minutes reheating in order to be perfectly cooked is a comforting thought. To save you on those nights where otherwise the takeaway menu would be too hard to resist. These roasted veg ended up as a side to my Easy Minced Beef Pie and in a mexican rice dish. 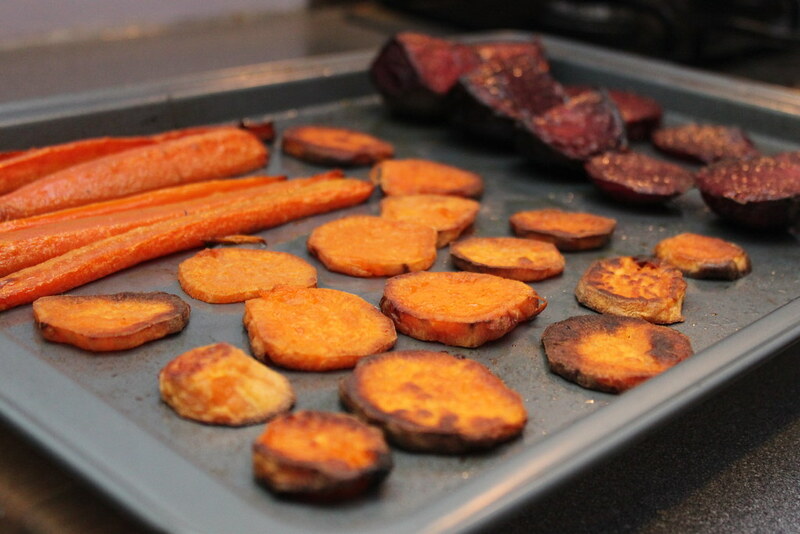 To cook these I sliced the sweet potato and beetroot into 1/4 inch thick slices, then quartered carrots lengthwise. Toss them in some oil (I used organic rapeseed oil) and pop into a hot oven until cooked through and browned a little around the edges. (Oven at 200oC for around 40 minutes).